We’re approaching the half-way mark of the season and it has been tough, but this week it’s a mega-round and hopefully everyone gets some nice scores. Top Captain choice and now the player with the highest average in the league, Torrey Craig was the week’s top scorer with 102. He was closely followed by Jameel McKay (96) who took advantage of Knight’s absence. Rotnei Clarke (88) and Adam Gibson (82) were the only other players to post genuinely big scores. Greg Whittington led the scoring for single match players with 56, narrowly ahead of Nathan Jawai (54) and Daniel Johnson (52). Rob Loe returned from injury in style with 58 and was the best value selection for the round. Despite it not being his fault, Matthew Knight was the biggest disappointment of the round with 6 from his first match and a DNP in match two. Teammate Mason Bragg had his second week of -2 in a row suggesting that his great round seven was a once off, for now at least. Rhys Martin slowed back to his early season pace with 14 from two matches. Finally Tom Abercrombie (20) really hurt those who’ve been keeping him as a point of difference. With so many players having two matches this week it’s worth looking a little bit further ahead to future weeks when deciding who to bring in. Adelaide and Brisbane both play a double match again next week and both have a decent double match string later in the season. Conversely, Cairns and New Zealand both play a single in round eleven before having the week off in round twelve. There are lots of player with big price tags who everyone would absolutely love to get into their team, however I usually look for the premium players with better value (when I don’t, things like Matthew Knight happen to me!) Right now that player is Casper Ware. He has quickly become Melbourne’s go to player and despite having a very quiet first game, he’s been delivering big since. Travis Trice could potentially be worth grabbing at this stage too. His price is still increasing and if he continues on form then he’ll be significantly more expensive later in the season when you really want to have him. David Barlow is very cheap and has improved every game he’s played since his return from injury. Mitch Young has the lowest breakeven amongst the cheap players with double matches. His scoring has been somewhat erratic but he is very cheap and can produce some decent scores. Finally, Jason Cadee is worth looking at, his cost is right down and he instantly started scoring better with the departure of Blake. Whilst those are my top six, it was extra hard to pick them and put them in that order. Other players you could definitely consider for captain include Greg Whittington, Daniel Johnson, Chris Goulding, Cameron Bairstow, Akil Mitchell or Nathan Sobey. Feels a bit odd bringing in Randle on the double and putting him on the bench, please convince me to change. Would you put Randle in over Newley or Lisch? I wouldn’t trade in Randle to have him on the bench. That said though, your line up with Ware in it looks very nice. taking into account upcoming schedule & cash..
I’d probably go for Barlow and cash over Harris, Harris simply hasn’t been very good since those first two rounds. I have four of the five bigs and could go Prather to Randle this round, but my bench is fairly weak although all on doubles. Should I get Ware instead of Randle and use the extra cash to upgrade someone like Abercrombie who will leak serious $$$? If your bench is really weak, then go for Ware and start upgrading it. Ware might even end up being as good a scorer as Randle of we’re lucky. Hi Tristan, 16 Trades remain. $30K to spend. Team: A Mitchell, B Newley, C Bairstow, D Stockton, T Craig, M Knight, R Loe, M Hodgson, T Abercrombie, M Bragg. Thinking Trading Abercrombie for either D Andersen (was good at start & will be good in rounds coming up) or go for C Ware, R Clarke or a player like Gibson, Cadee or Sobey? Ware and Cadee will be the most traded in this round, but for good reason as I think they’re the best choices. Consider trading out Knight too, I know he’s lost a lot of money but it’s probably going to get worse over the next few weeks. Thanks Tristan. I was actually thinking trading Knight last night as well so good to know I’m on right path. Will be down to 14 trades so will need to be cautious next few rounds. Look forward to your dreamteam talks. Love your work! 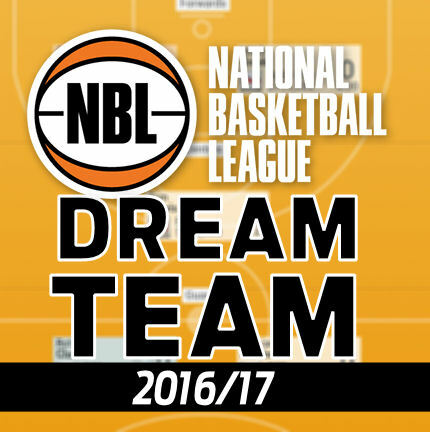 15 trades left and 52 k. Current team is : Newley, Craig, Pledger, Lisch, Trice RES – Bairstow, Petrie, Maric, Abercrombie, Clarke. Thinking going Pledger to Jawai and Abercrombie to Gibson. Would give me 71 k to upgrade Maric next week. Gibson is unlikely to keep scoring high, he had been playing as more of a general than a scorer. Thanks for your advice on this blog. Just one thing I would like to say is the fact that purchasing electronic products items in the Internet is nothing new. Actually, in the past 10 years alone, the marketplace for online consumer electronics has grown substantially. Today, you will find practically virtually any electronic gizmo and other gadgets on the Internet, ranging from cameras and also camcorders to computer parts and video games consoles.